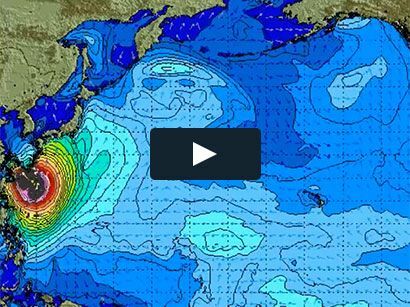 Surf News Network, 2 May, 2015. The world’s best big wave surfers gathered in Southern California tonight for the 2015 WSL Big Wave Awards. 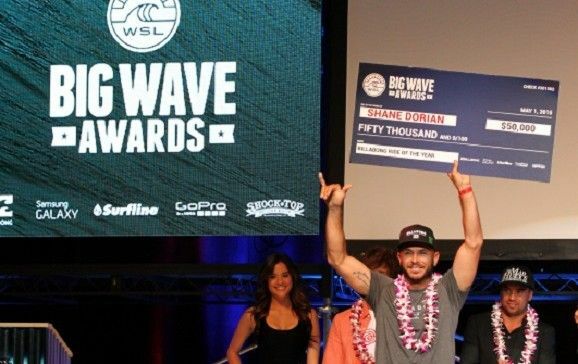 The gala ceremony at the Grove Theater in Anaheim honored the greatest rides of the last year and honored the tenets of the big wave community. This year’s event was highlighted by the official crowning of last season’s WSL Big Wave Tour (BWT) Champion, Hawaiian Makuakai Rothman, who accepted via satellite from South America following his emphatic victory at the Quiksilver Ceremonial Chile this morning at Punta de Lobos. Some 2,000 invited VIPs witnessed the awards ceremony in person and viewers worldwide tunes into the live streaming webcast of the entire proceedings.